In love with Formula 1: Brazilian GP / Qualifying: Only 33 thousandths of a second separated polesitter Rosberg and Hamilton! Brazilian GP / Qualifying: Only 33 thousandths of a second separated polesitter Rosberg and Hamilton! The weather forecast said that there was 100 % certainty for rain in the afternoon at Interlagos. However, there were only a few drops falling when Q1 got underway. The teams seemed to be sure that there was no threat of rain showers as they didn´t rush out when the session went green. The Williams drivers were the only ones to make their first runs on the white-marked medium tyres, which was quite surprising. Even the Mercedes duo Rosberg and Hamilton set their first lap times with the soft compound of Pirellis. In my opinion they would have easily made it into Q2 with the harder compound tyres. Since both Marussia and Caterham were still missing from the grid, 14 fastest made it into Q2. Rosberg topped the time sheets with his team-mate second. Massa in his Williams seemed to be on fire in front of his home crowd. In the few previous races the Brazilian has been clearly beaten by his Finnish team-mate Bottas but now Massa has magically found some pace as fans have been cheering for him on his home soil. Vettel in his RB10 didn´t make it any higher than P13, which was quite worrying. Grosjean, Vergne, Perez and Maldonado got knocked out of the second session, which was no surprise for me. It was very tight between Mercedes and Williams in Q2 as well. Again it was Rosberg who set the fastest lap time but his team-mate Hamilton was left 4th in this second session! Massa stormed to P2 being only four hundredths of a second slower than the German Mercedes driver. Also Bottas made it ahead of Hamilton, which gave me a bit of hope that there could actually be a fight for pole in the final session. What raised my hopes as well was that Kimi was faster than his team-mate Alonso, which had been kind of a trend during this weekend. I was happy to watch Kimi´s driving: the problems with the front end of his F14T seemed to be overcome. Alonso only barely made it into Q3 being the last of the top ten. Both Saubers as well as Hulkenberg in his Force India and Kvyat in his Toro Rosso were out of Q3. For some reason Kvyat was unable to set any kind of lap time during Q2. The final session held tension, excitement and lots of entertainment. Ferrari were the only team to make only one run in the 12-minute session. It was obvious that both Rosberg and Hamilton tried to extract the absolute maximum out of their cars to make it on pole. When the session started Rosberg had a firmer grip on the pole position as the German claimed the provisional pole. In his second run, however, Hamilton deprived the pole from his team-mate. But only for a very short moment! Rosberg finished his second run shortly after Hamilton and snatched pole by only 33 thousandths of a second! That fight was really an enjoyable one to watch. Massa qualified in P3, which made him extremely emotional in front of thousands of fans. Bottas completed the second row. Button in his McLaren made it in P5, which was quite an impressive achievement for the Briton. Vettel finally qualified 6th, which is not bad if considering that he managed to beat his team-mate Ricciardo, who will start to the race from P9. Magnussen qualified 7th, Alonso 8th and Kimi was left in P10. 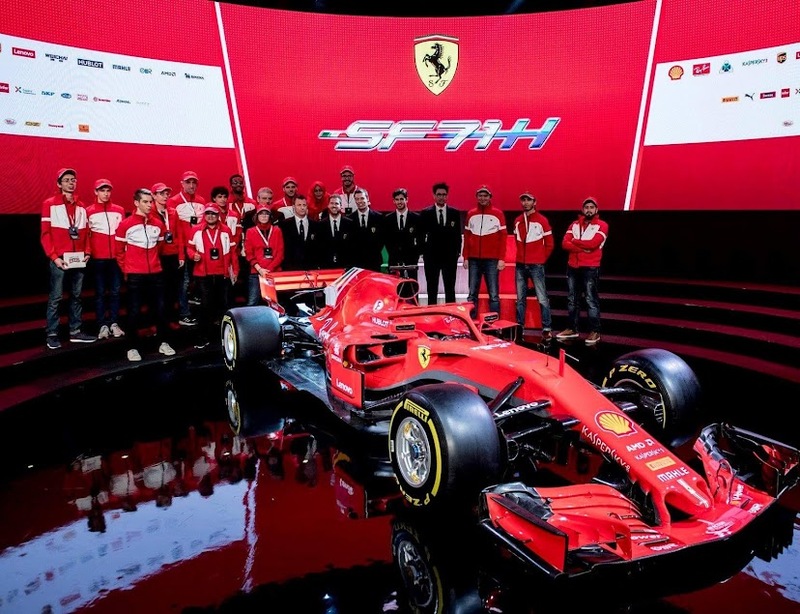 Kimi´s result was slightly disappointing as the Iceman´s pace had seemed so promising in both free practice sessions and in the first two qualifying sessions. Rosberg left no room for any suspicions: the German was the fastest man on track in all three practice sessions as well as in all qualifying sessions. So it seems that the German has at least one hand on the championship throphy in spite of the fact that he´s 24 points off his team-mate. I´m sure Rosberg has learnt from what happened at Austin last week and he won´t let Hamilton pass him -at least not without a fight. The weather will surely play a role in the race tomorrow: rain is expected at some point in the race. I´ve been wondering if Red Bull´s lack of performance was due to the fact that they had wet-weather set-up in their cars in the qualifying. That would make sense as especially Ricciardo´s pace seemed so lame today. Wet race would favor Red Bull but certainly not Ferrari. One thing is for sure though: the championship battle won´t come to an end tomorrow but it will go down to the very last race of the season until we know, which one of the Mercedes team-mates will be crowned world champion this year. Still I´m so excited about the race. Thumbs up for Kimi and Sebastian! (And secretly for Bottas, too). US GP: 10th victory of the season for Hamilton!